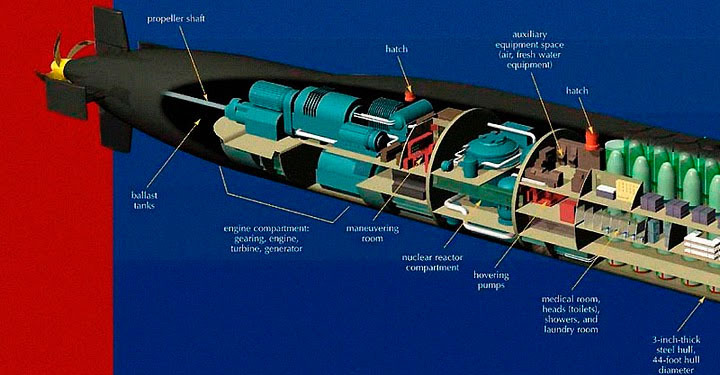 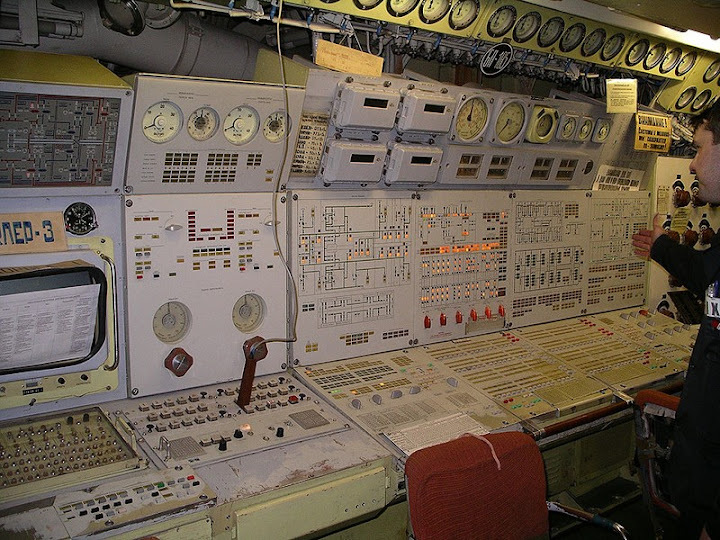 Submarines have to be some of the most sophisticated pieces of machinery so far devised by mankind, with the possible exception of space vehicles. 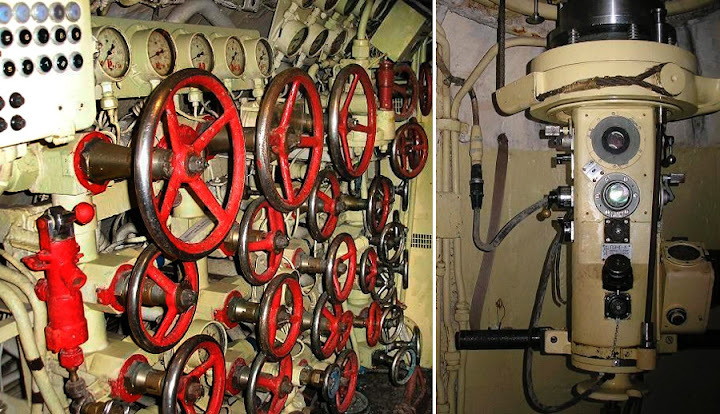 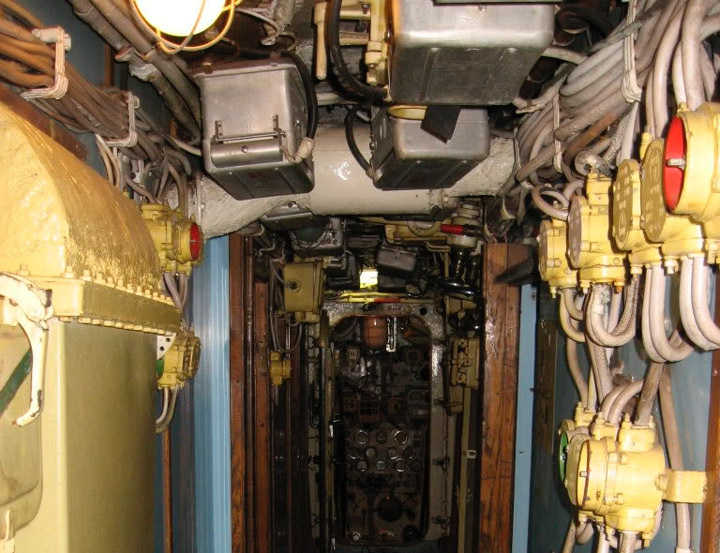 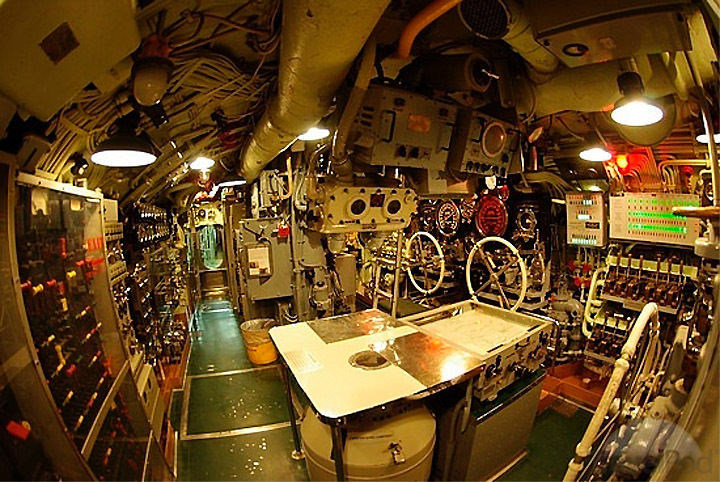 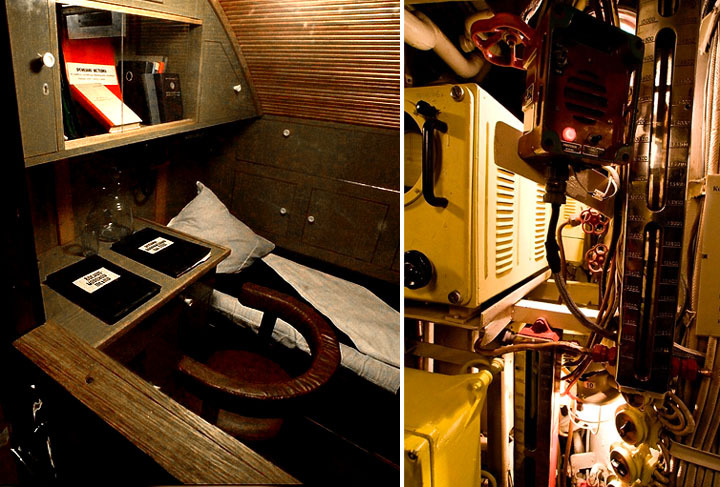 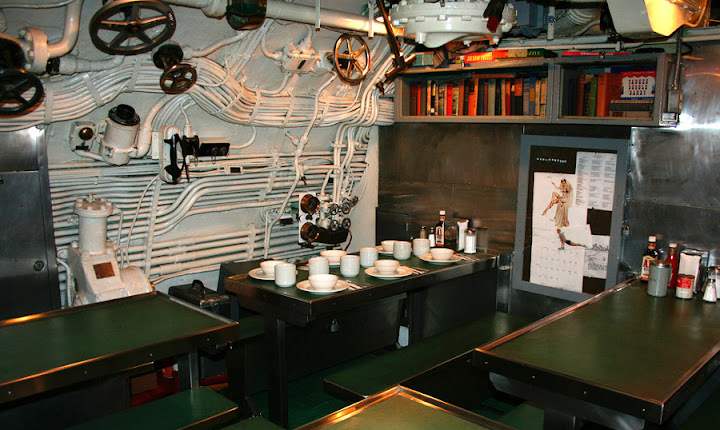 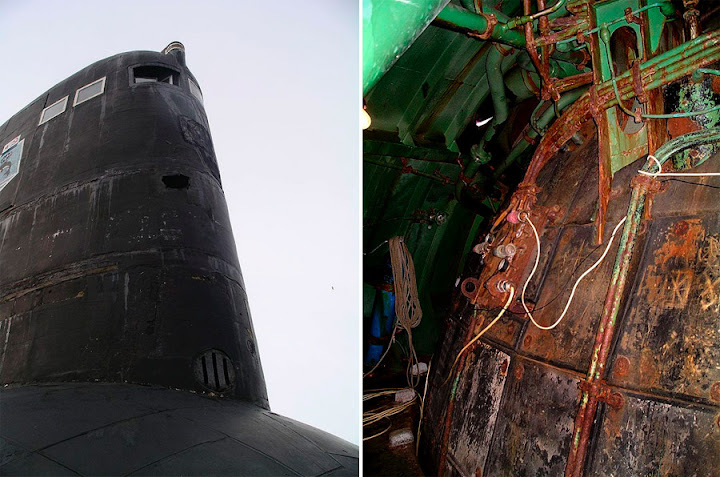 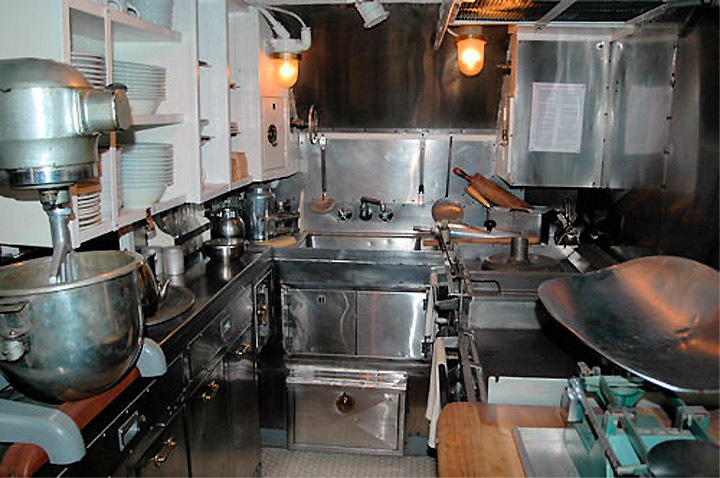 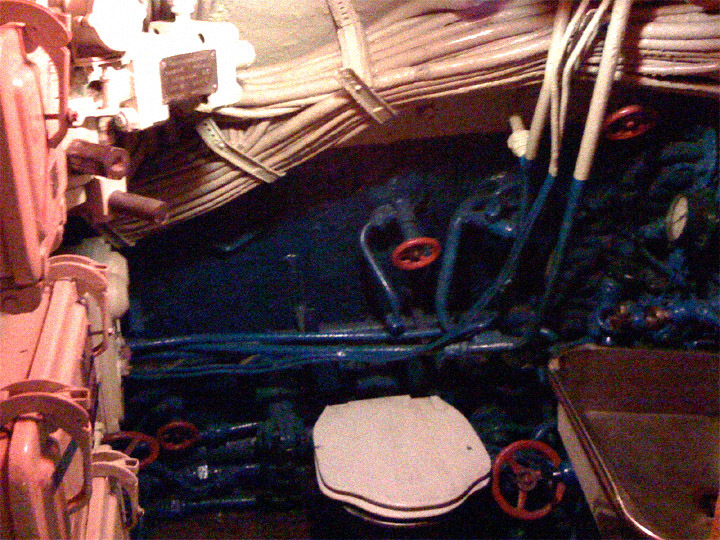 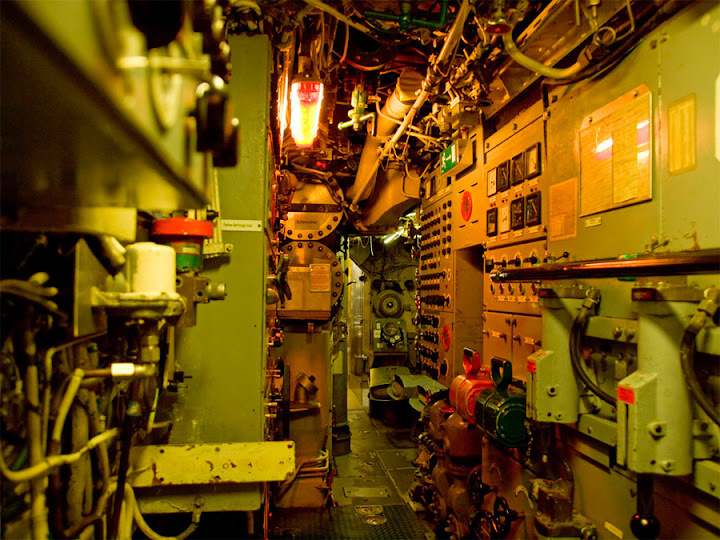 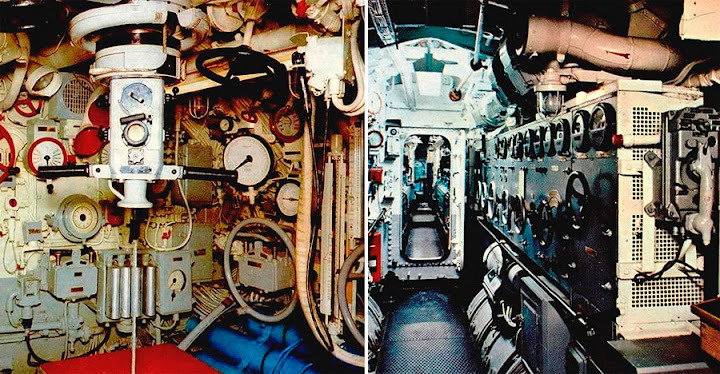 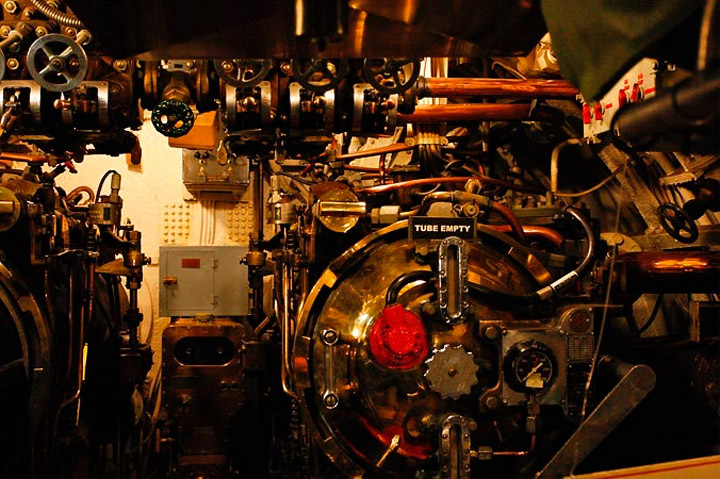 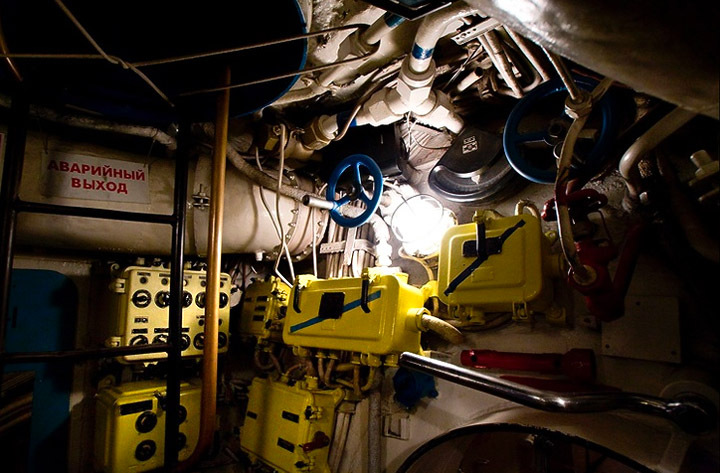 Here’s a look at the interiors of some of these remarkable vessels, from models dating from World War Two, through the Cold War, to the present day. 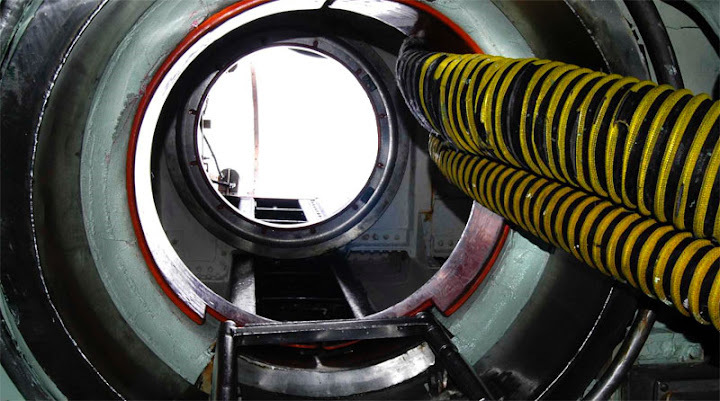 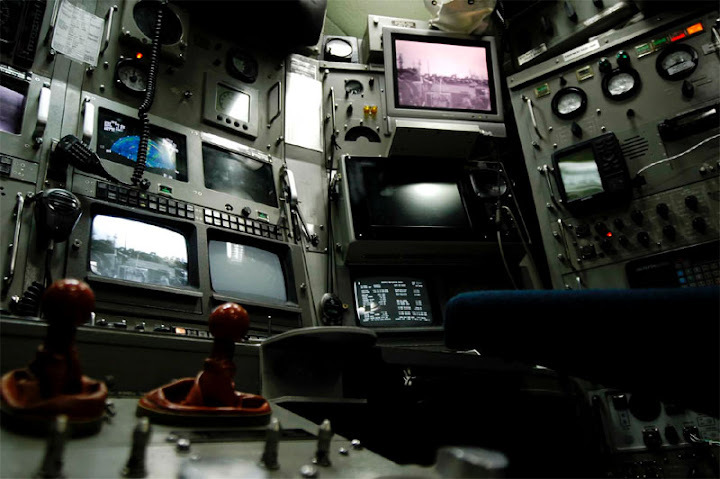 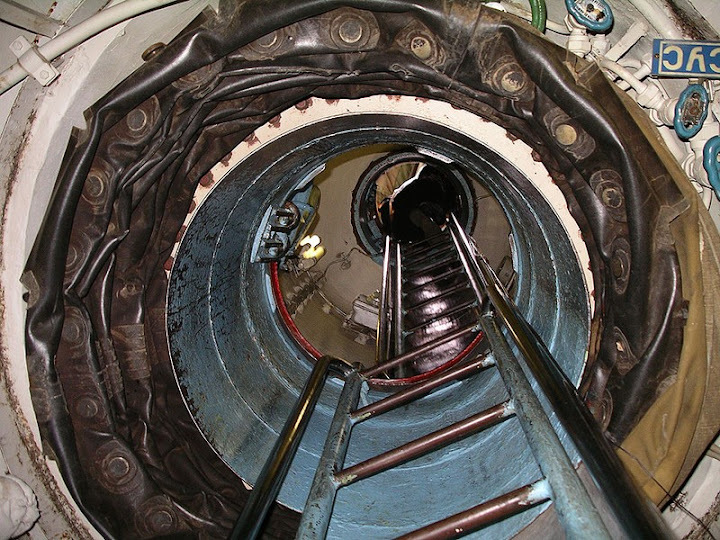 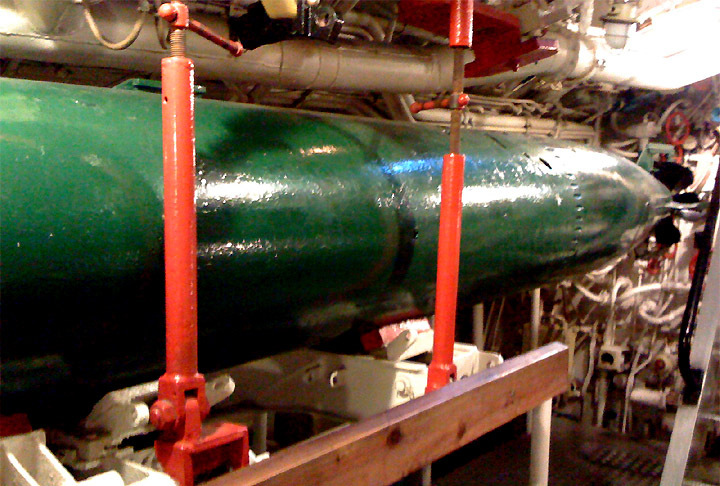 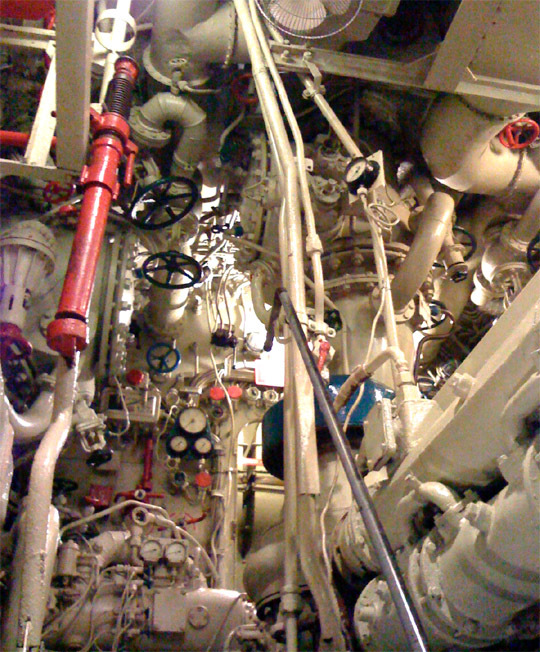 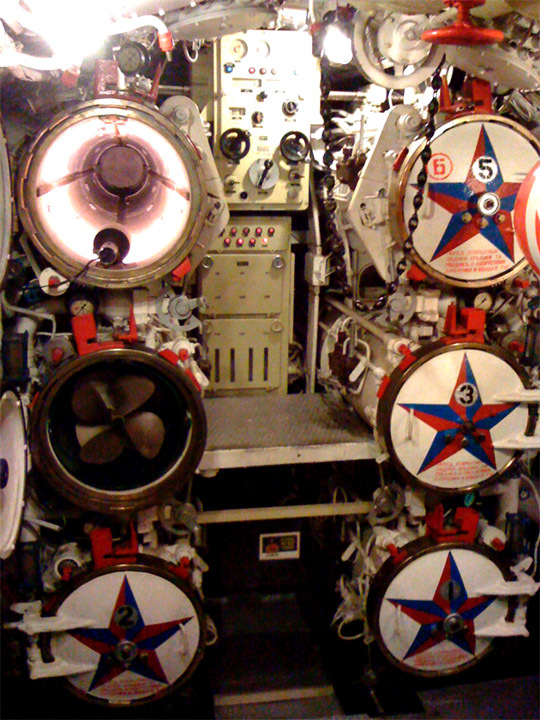 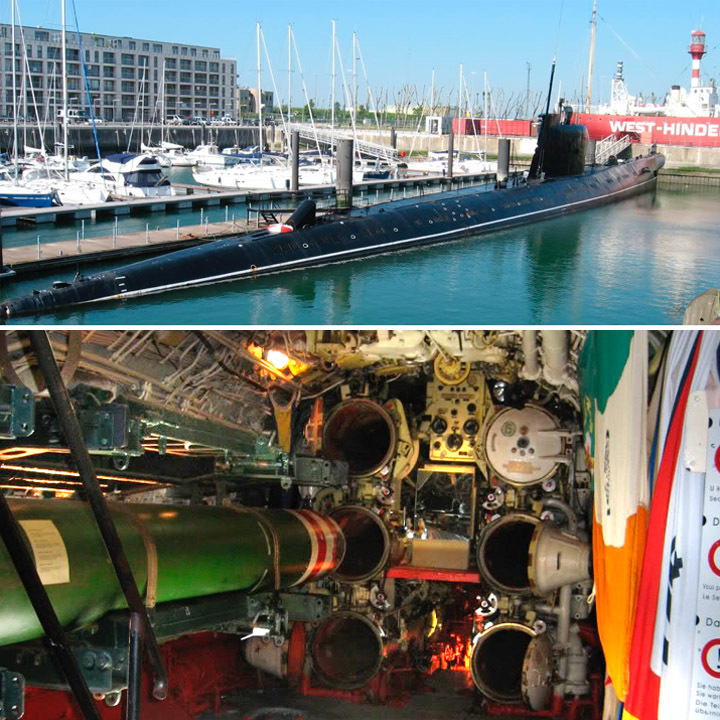 We’re all familiar with the appearance of the periscope of a submarine from TV and movies. 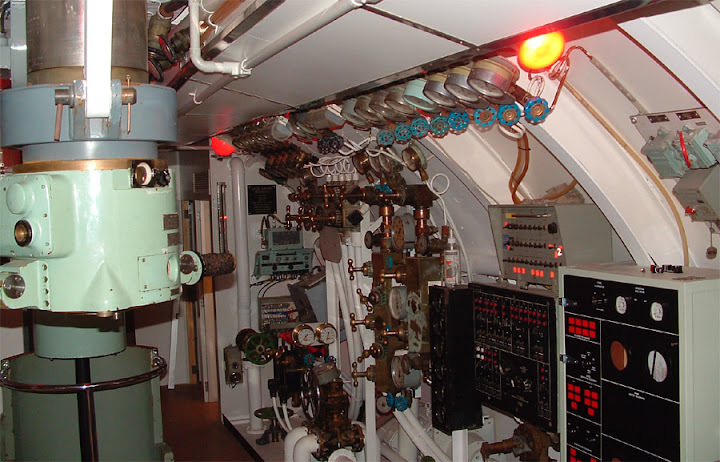 This one is within the hull of the Australian submarine HMAS Otway, now on display some 400 kms away from the coast at Norman Holbrook Park in New South Wales in Australia. 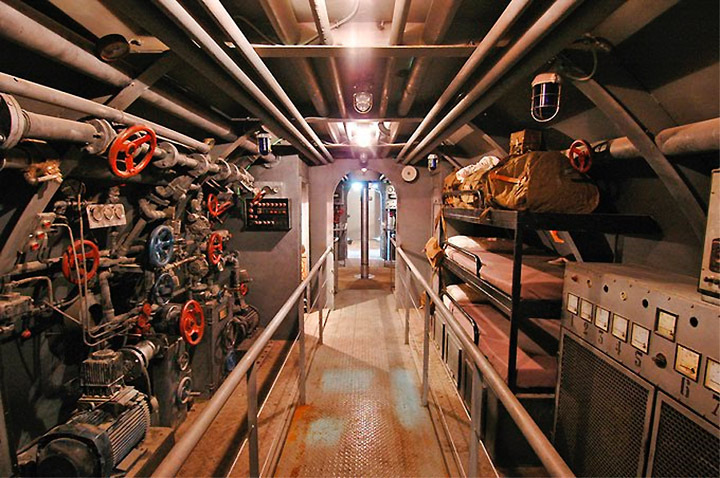 The USS Bowfin is also from World War Two. 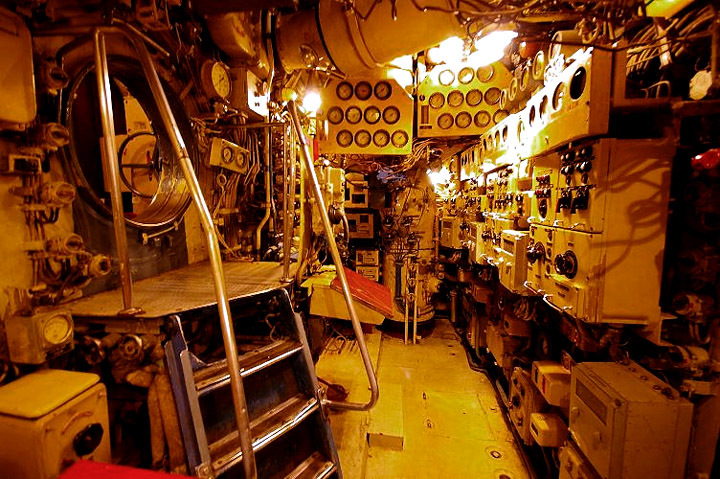 This submarine is now docked at Pearl Harbor in Hawaii and serves as a museum. 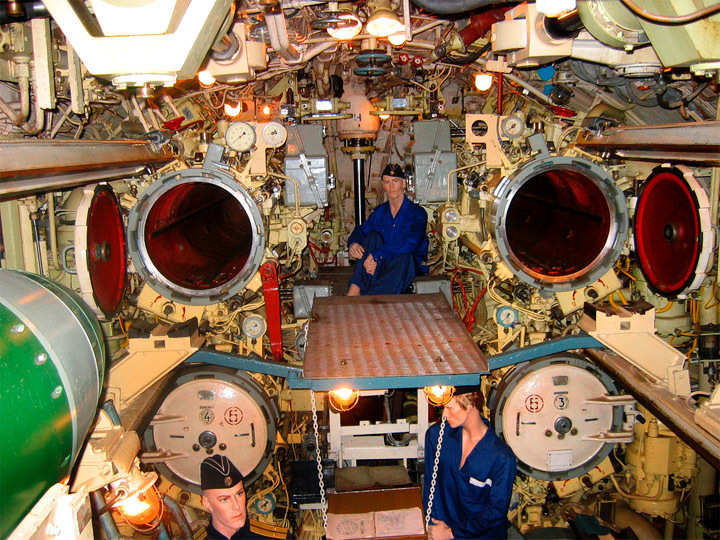 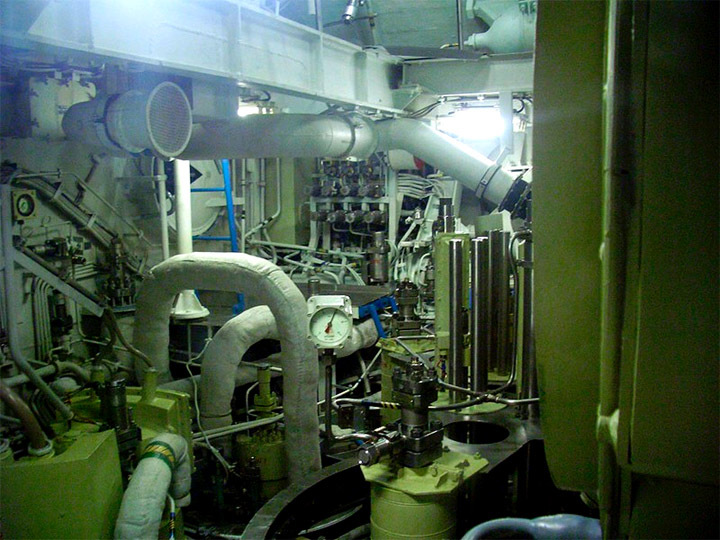 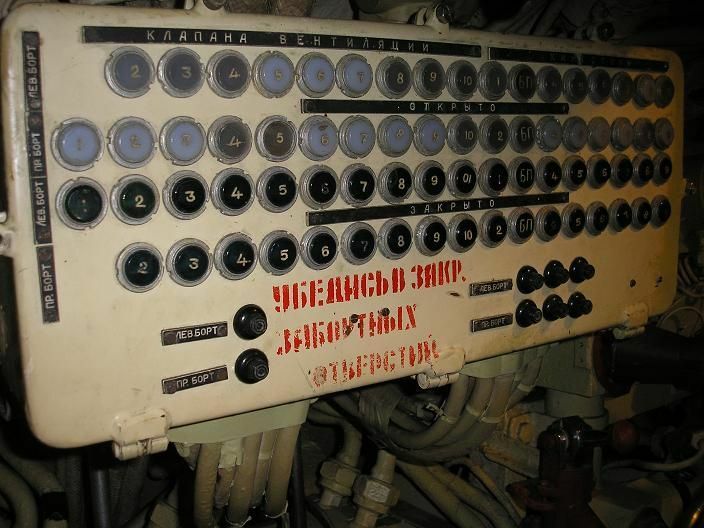 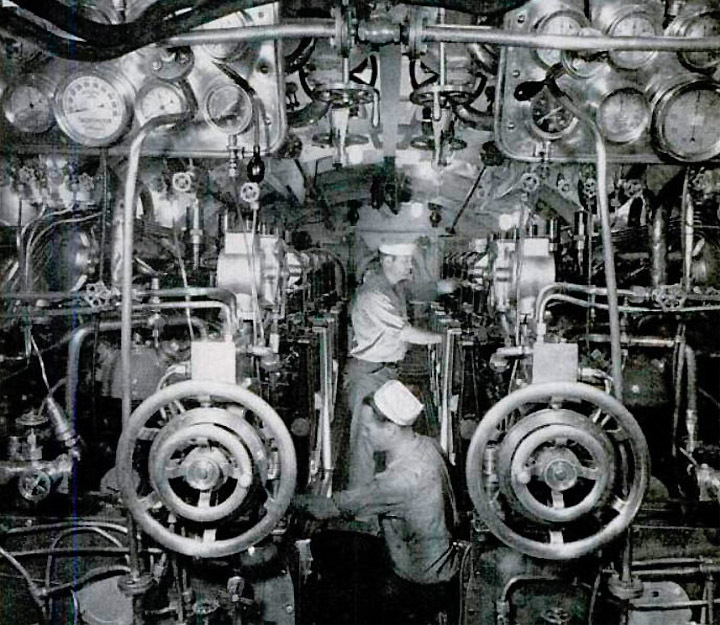 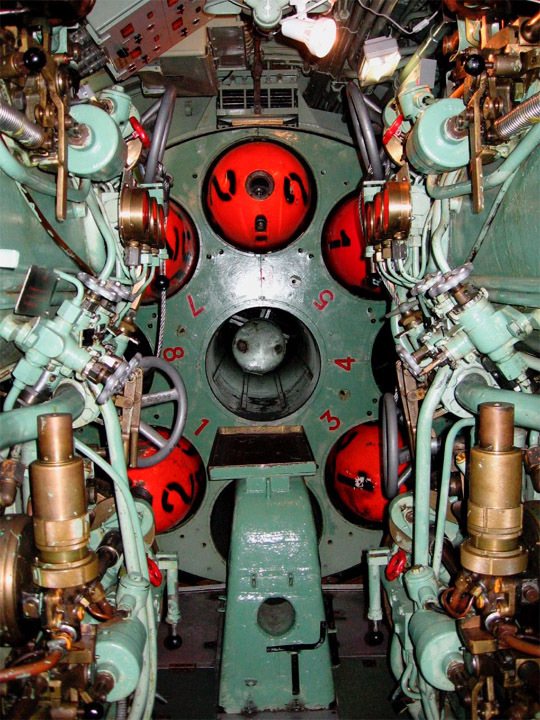 Here we see the torpedo tubes. 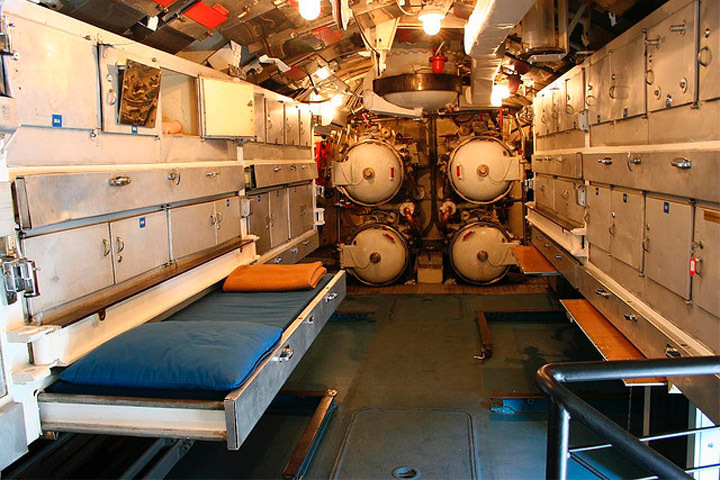 And if you thought that everything about submarine spells "cramped space", here is an unlikely object to be discovered on a nuclear submarine - a full-size piano! 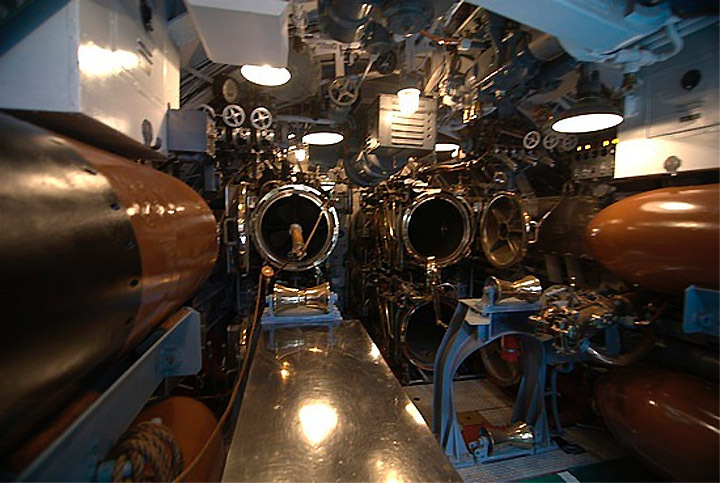 "This Steinway piano spent 22 years (1961-1983) aboard the ballistic missile submarine USS Thomas A. Edison (SSBN 610), the only full size piano ever installed aboard a submarine conducting nuclear deterrent patrols". 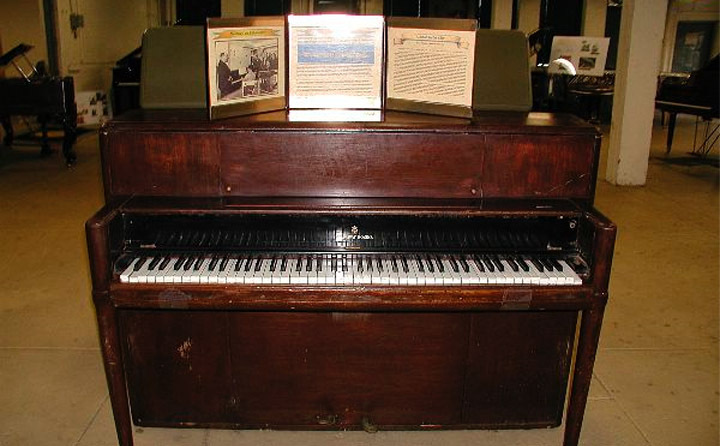 The piano in the last photo isn't a grand piano; just a standard upright piano and a small one at that. 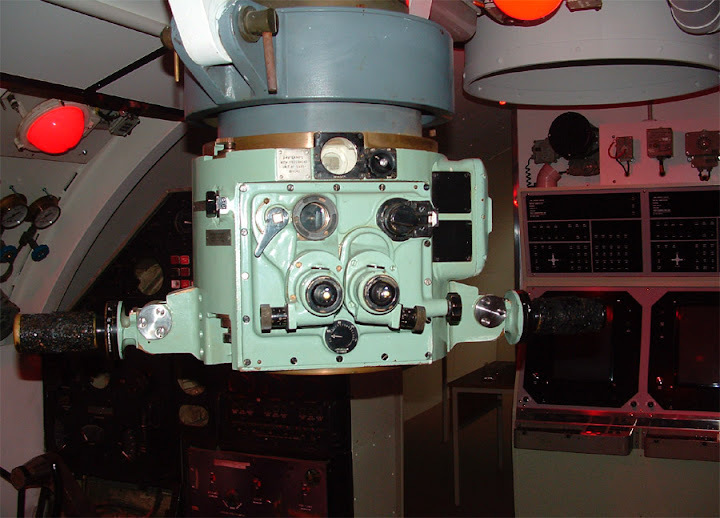 Probably an Acrosonic-style drop action to fit in tight quarters. 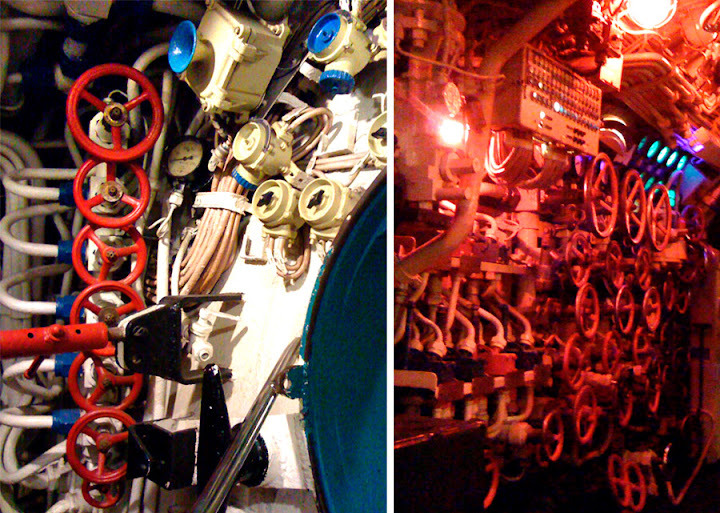 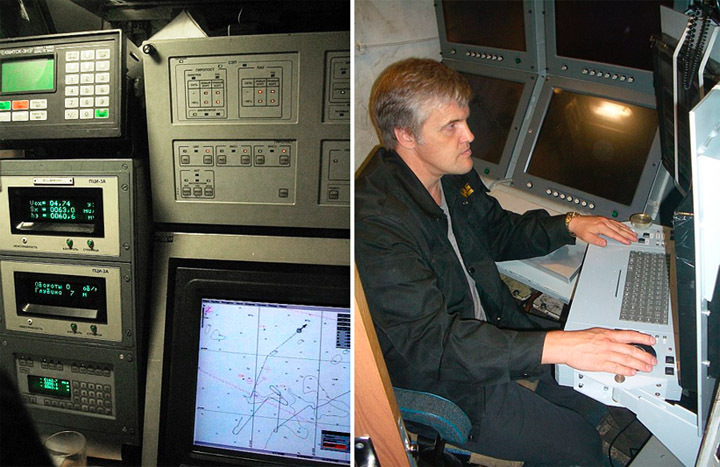 Still must have made sonar operators on other vessels a bit surprised to hear live piano music coming from the depths. 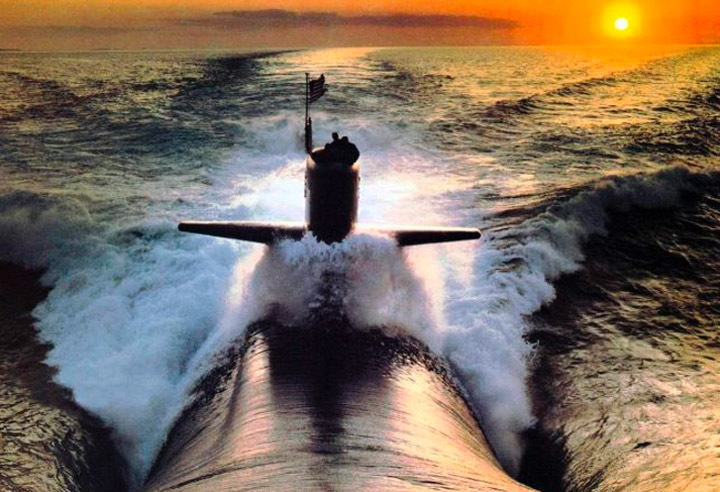 For anyone who wants a sample of life on a sub without actually going underwater, I recommend the full-length version of Das Boot. 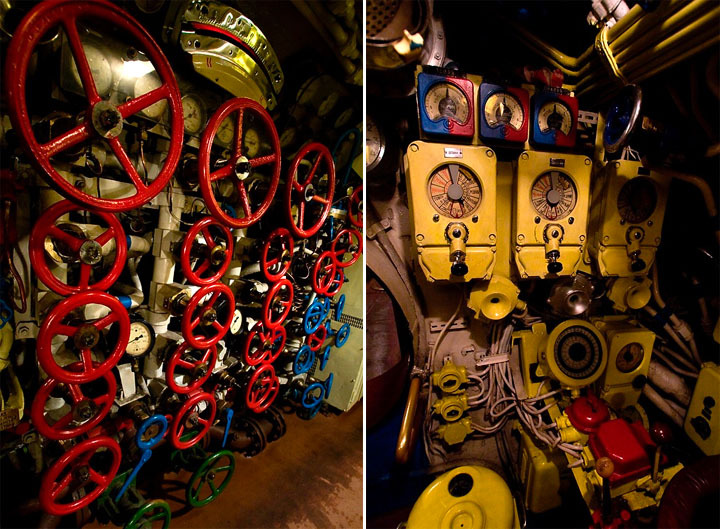 Nice collection of photos. 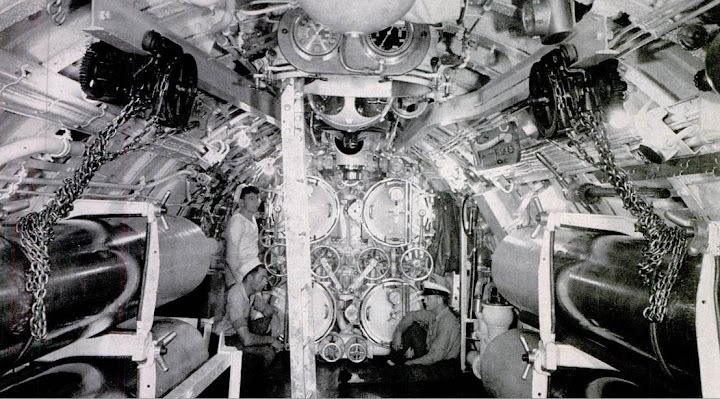 I've been fascinated with submarines ever since watching Disney's "20,000 Leagues Beneath the Sea"--then lived on Guam and was able to see boomers coming in and out of the naval base there. 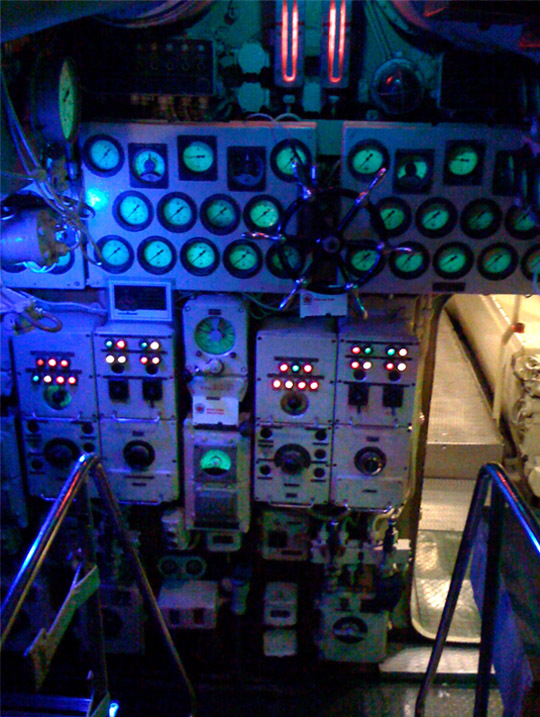 Managed to ride on a tourist submarine that went to a depth of 120 feet in Hawaii ... Now I'd like to build my own someday. 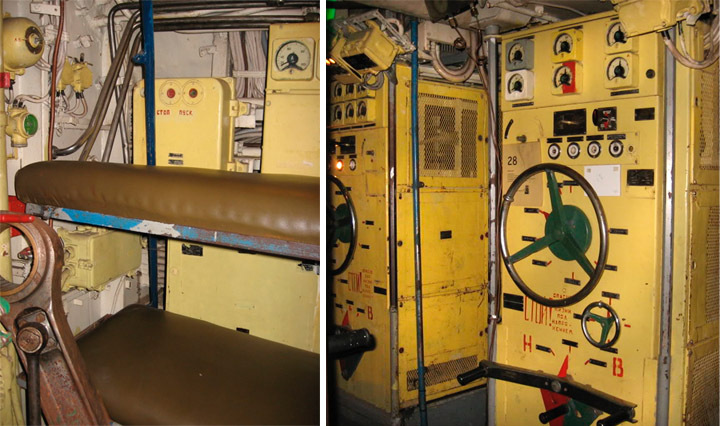 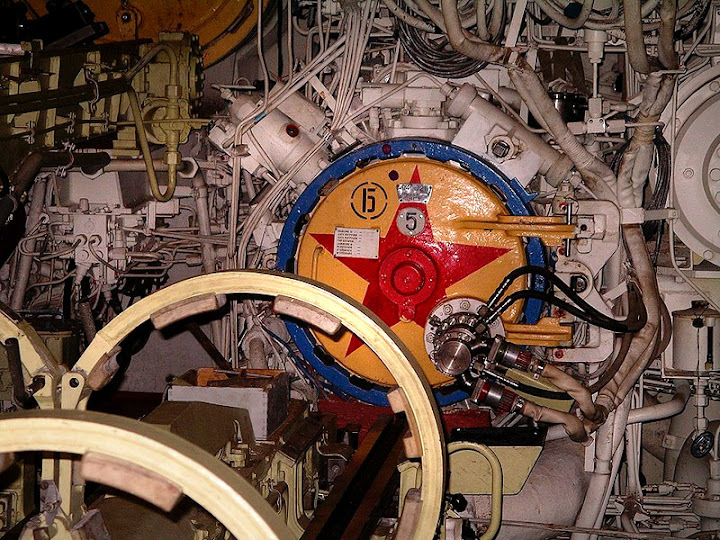 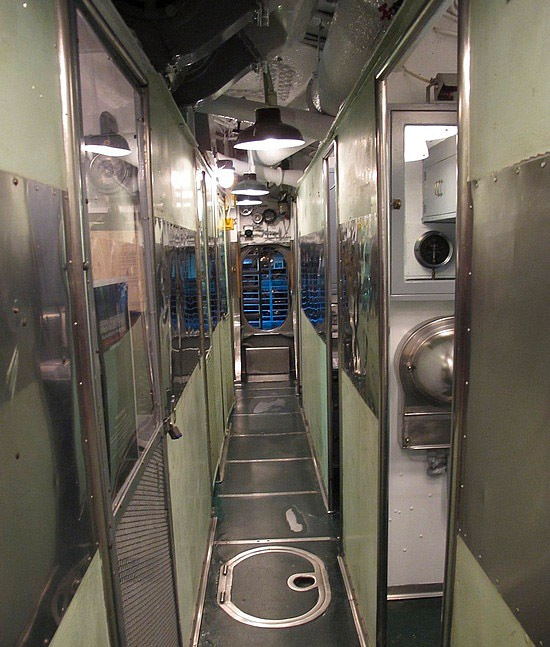 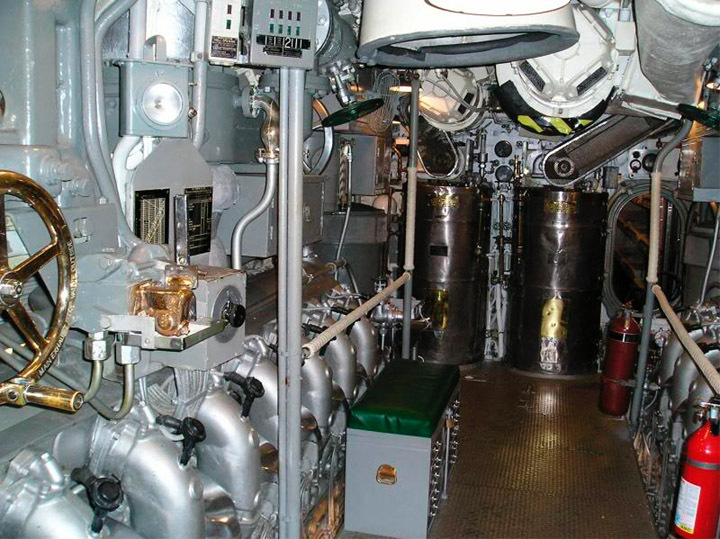 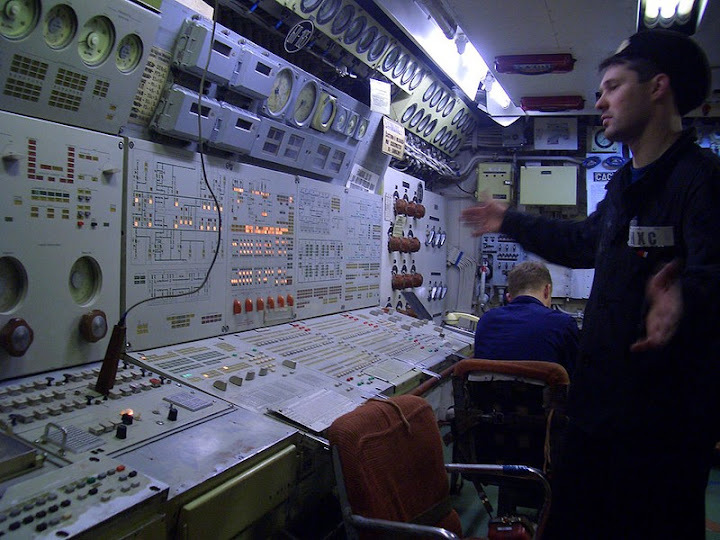 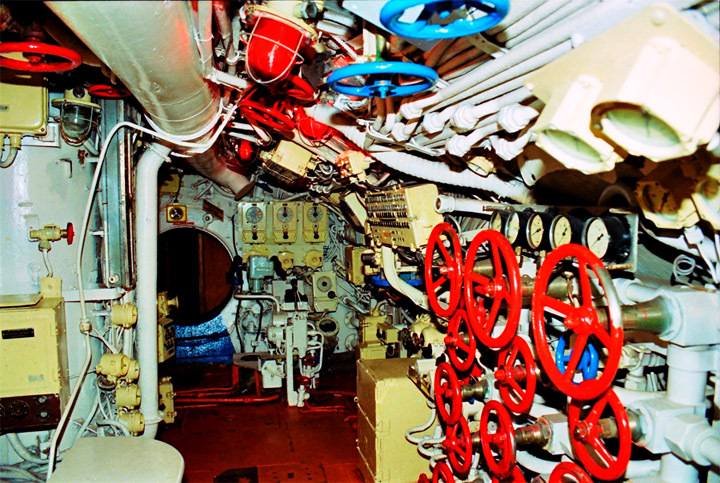 My collection of photos of subs includes the interior of a Foxtrot-class Soviet sub and some views of the tourist sub and the boomers from Guam. 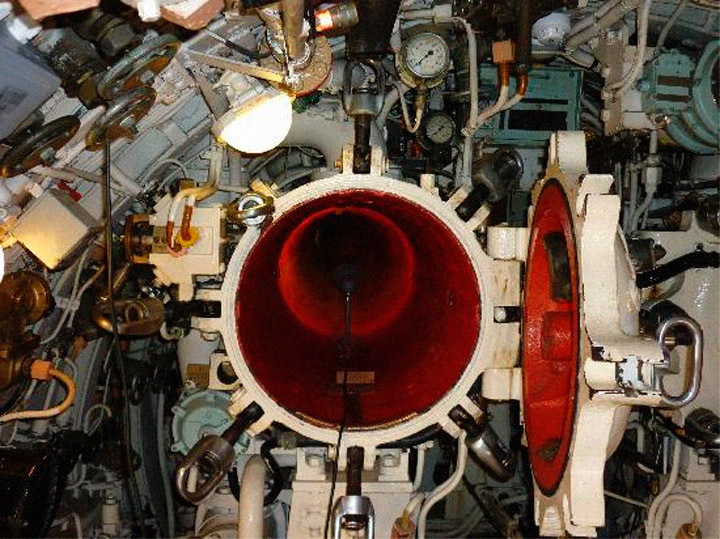 I've linked to this site for sub fans. 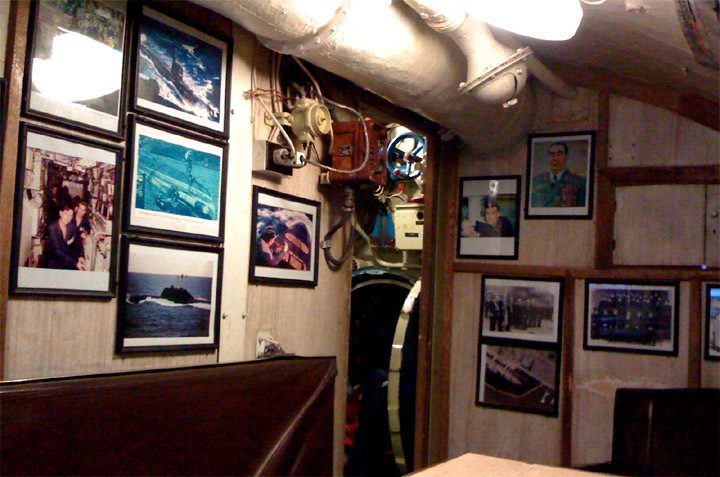 Thanks for providing such a great collection of photos. 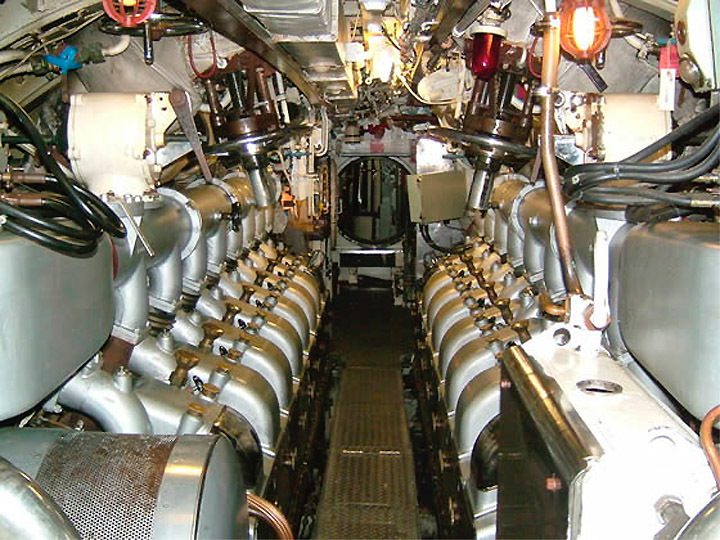 Thank you DaveG - glad you like the article, and we are looking at your collection... wonderful. 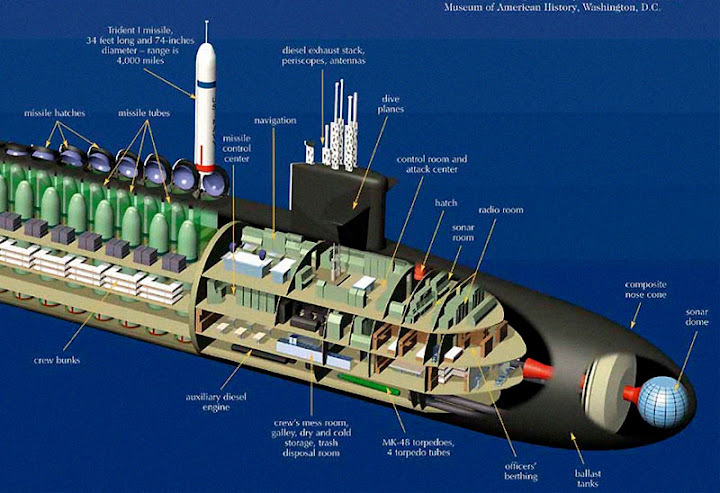 What is a "bog-standard Ohio class submarine"? 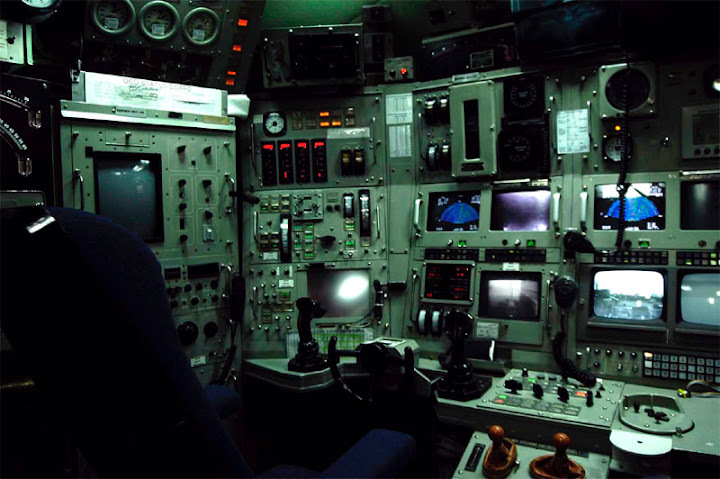 AS a former crew member I'make trying to figure out what you'really saying.